At DEP, we truly believe that our partners are key to making Montgomery County as green as it can be. This “Partners in Energy” series profiles a local leader, advocate, or trailblazer who is dedicated to improving energy efficiency and helping the county realize its goal to reduce greenhouse gas emissions by 80% by the year 2050. Find out more about them in their own words. This installment highlights Gina Mathias, Sustainability Manager for the City of Takoma Park. Want to be featured as our next Partner in Energy? Send us an email! Gina Mathias: Thanks to my Dad who took me hiking, many summers at a sleepaway camp, and teachers who understood climate science before the evidence was conclusive, I became interested in climate at a young age. My real passion for energy was fostered while working for a local energy auditing company where I learned about Home Performance, building science, and energy efficiency while directing energy efficiency projects at multi-family buildings. 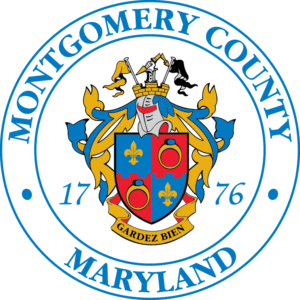 MGM: What do you find most interesting about energy issues in Montgomery County? Mathias: I think the variety and breadth of energy issues in Montgomery County are interesting. The County has to work on residential, commercial, industrial, transportation, and even agricultural energy use issues. This creates a complex challenge for the county, but also a deep well of resources for its communities. For example, the commercial PACE program and Green Bank are excellent innovations that sustainability managers like myself can draw upon when working with the community. MGM: Can you describe what you do in your role as Sustainability Manager? Mathias: My main role is to implement Takoma Park’s 2014 Sustainable Energy Action Plan (SEAP). The SEAP has 17 key strategies to reduce greenhouse gas emissions city wide. The city is more than halfway through implementation of the plan, and I’ll be working on an update in fiscal year 2019 to ensure we continue to strive for deeper reductions in emissions. I’m responsible for managing the city’s greenhouse gas disclosure and coordinating with regional and national partners and programs relating to climate and energy. 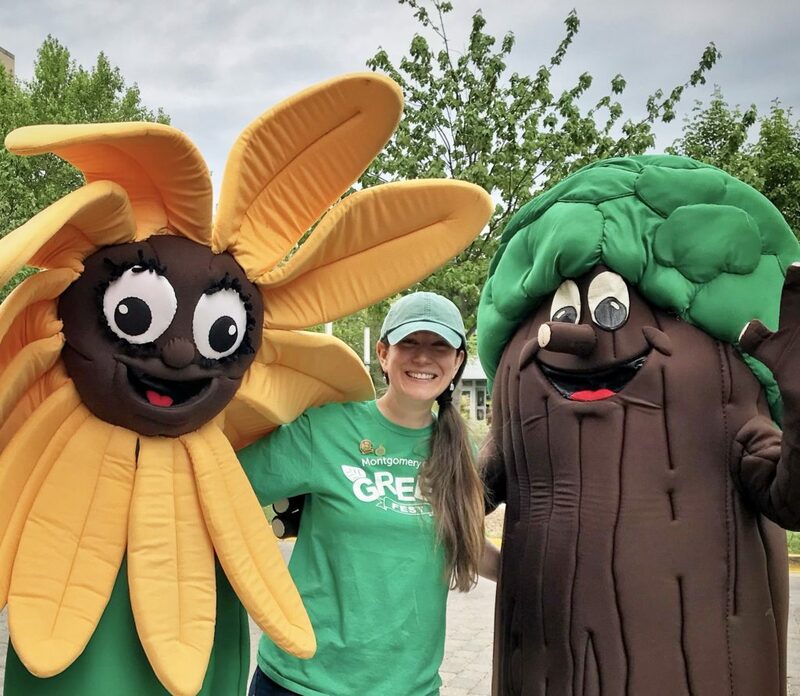 I also work on a variety of other sustainability issues in the city including serving as the city representative on the Montgomery County GreenFest planning committee; serving as an energy coach and answering resident questions about energy efficiency and sustainability issues; increasing electric vehicle charging infrastructure in the city; and much more! MGM: How does your day-to-day work impact residents of Takoma Park? Mathias: Some of the work I do benefits residents directly, such as the energy efficiency grants and rebates that are now available to residents. MGM: What has been your proudest moment in your position? Mathias: I am incredibly proud of Takoma Park’s commitment to sustainability and energy efficiency. 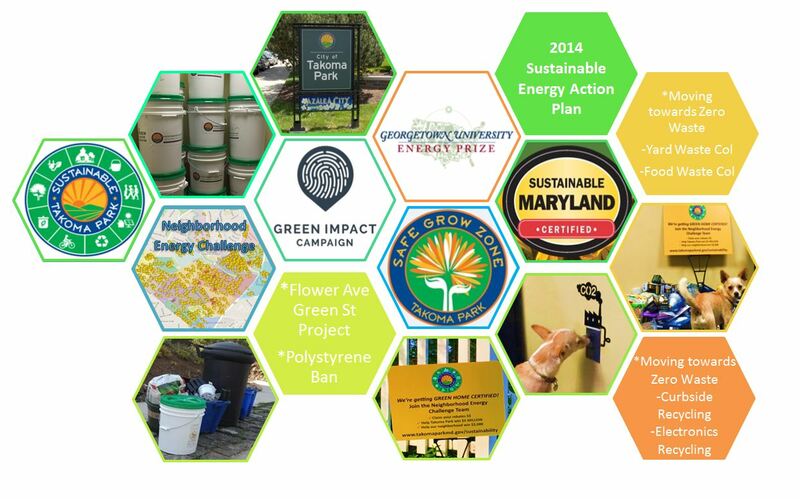 In 2017, Takoma Park was named the Sustainable Maryland Certified Champion for achieving the most points of any community certified. Takoma Park also won third place in the national, years-long Georgetown University Energy Prize competition. These achievements were only possible because of the high rates of participation and involvement from residents, businesses, and staff in the city, and that is what makes Takoma Park a great place to work. MGM: What projects are you working on now that we should be watching? Mathias: This summer I am challenging everyone in Takoma Park to choose 100% renewable energy at their home or business. Everyone in Maryland has the option to choose renewable, but by my estimate only about 5-6% of residents are buying clean power. We can do better than that! This is one of the easiest, fastest, and cheapest, ways we can make a big impact on our carbon footprints. To make the process as easy as possible to switch to renewable energy, Takoma Park researched suppliers through an open-bid process and selected CleanChoice Energy as the city’s partner for the challenge. Residents and businesses can choose any supplier they like and still earn challenge points. Contract: No cancellation fees. 12 month guaranteed price. Local company headquartered in Washington, D.C. Anyone with a Pepco account can participate, nothing to install. Our goal is 25% of all Pepco accounts in the city to be 100% renewable energy by September 30, 2018. You can check in on how we are doing. Gina’s dog also cares about saving energy and turns off the computer when done. MGM: What’s your favorite way to save energy in your home or workplace? Mathias: At home I have a NEST thermostat that has a mind of its own. I set the program from my phone, and it can put the house into ECO mode all on its own, forcing us to save energy. I’ve installed most of the usual “low-hanging fruits,” such as LED bulbs, fans for summer, low-flow aerators and showerhead, etc. I also try to practice energy-smart behavior, like using cold water for laundry and even washing my face. But probably my favorite way to save energy happens at work where building-automation technologies help out. Features like motion-sensor lighting, energy-save mode and auto-turn off on office equipment, and thermostat programs make it so easy to save energy. I hope to incorporate more building-automation technology into my home too. MGM: Outside of your role, what other activities or interests do you have? Mathias: I have a number of crafty hobbies and a home pottery studio where I make ceramic bowls, cups, and vases. My husband and I enjoy traveling whenever we get the chance, rock climbing, and hiking. I also find myself with a long list of home improvement projects for our 1951 home.